“Magnificent four-bedroom, six-bathroom home with the best view in Costa Rica,” “gorgeous property five minutes from town with river, trees, and spring, ideal for an estate or small development,” “one-bedroom villa close to jungle and great rental appeal.” Do any of these property details appeal to you? If so, browse our site to read descriptions like these and many more. This is just the tip of the iceberg. The real estate market of Costa Rica is rather diverse. When looking to purchase a property in a foreign country, it’s all the more reason you need a competent agent. You can’t just trust the luck of the draw. It’s more than understandable to go out and pursue one. Having landed on our site, Dominical Real Estate invites you to get to know us and how we can best serve you. Our love for this tropical paradise of a country and all it has to offer is our sole motivator. Accordingly, we appreciate when other people come to know and love it, as well. For this reason, we specialize in helping those people find their own place here. It’s seldom easy to know what to do when it comes to real estate investments, as a buyer, seller, or realtor for that matter. In some cases, properties come and go. On another note, sometimes the property is simply a means to an end. 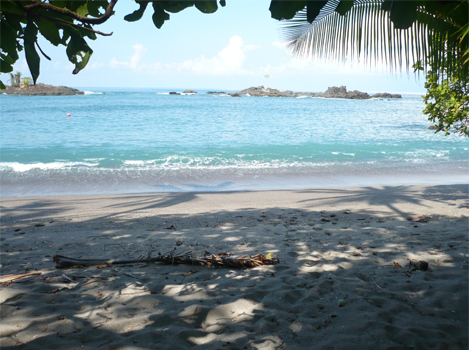 That end is to own a part of Costa Rica, have full-time access to its culture and natural world, the list goes on. It may not be an easy road ahead of you, but with us as your guide, it will prove to be worth it.